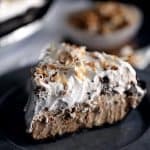 This Mocha Coconut Frappuccino Pie uses just seven ingredients and takes less than 10 minutes to create. Coffee ice cream, coconut pudding, whipped topping and my decadently delicious Mocha Hot Fudge Sauce are swirled together before being poured into an Oreo crust. More hot fudge, whipped topping and toasted coconut complete this frosty treat that is guaranteed to help you beat the summer heat! As I was lamenting my woes to the barista in the grocery store the other day – keeping it real, friends! – she urged me to try the Mocha Coconut Frappuccino. Mocha and coconut? Say what?! And just like that Starbucks redeemed itself. Well, 99% redeemed itself. Actually, I’ll give them the missing 1% of redemption because their new frosty drink inspired this Mocha Coconut Frappuccino Pie. The dog days of summer don’t have anything on me! This pie uses just seven ingredients and less than 10 minutes to create. How’s that for beating the summer heat? Coffee ice cream, coconut pudding, whipped topping and my decadently delicious Mocha Hot Fudge Sauce are swirled together before being poured into an Oreo crust. Oh yes, my pie is better than the drink because there are Oreos involved! 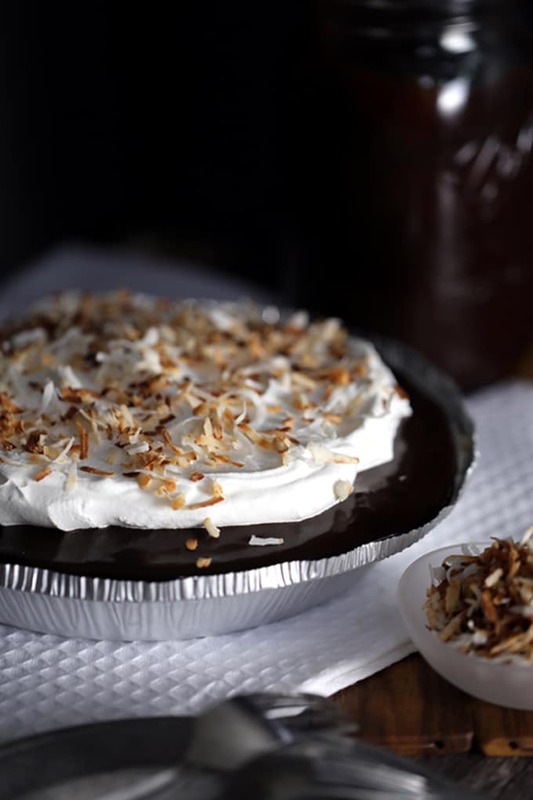 The pie is then frozen until set before being covered in yet more hot fudge sauce, whipped topping and toasted coconut. I think it says a lot when, I, the non-coffee drinker helped to obliterate this pie. Chocolate, coffee and coconut. This flavor combination is for real and it’s amazing! My Mocha Hot Fudge Sauce is also the key ingredient to my Coffee and Donut Ice Cream with Mocha Hot Fudge Swirl which I pretty much guarantee you’d love. I’m thinking you’d also love my Hot Fudge Ice Cream Pie as well. I mean, who wouldn’t? In a large bowl, whisk together pudding and milk. Let set for 5 minutes. Stir in softened ice cream, 1/2 cup mocha hot fudge and half of the whipped topping. Spoon ice cream mixture into pie crust and freeze until solid. Top with remaining 1/2 cup mocha hot fudge and return to freezer until set. Prior to serving, garnish top of pie with remaining whipped topping in the center of the pie. Sprinkle toasted coconut over whipped topping to garnish. 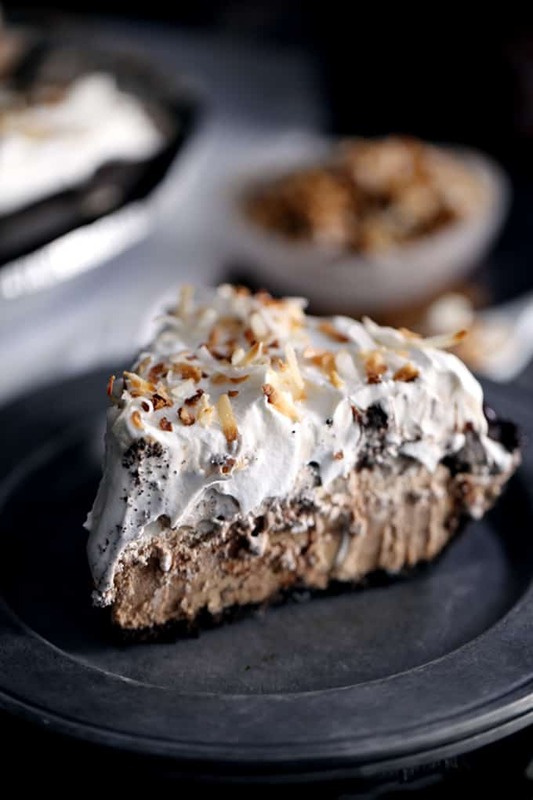 Fellow Frappuccino fans, after enjoying all that this Mocha Coconut Frappuccino Pie has to offer, may it simply be the gateway to other amazing frappuccino inspired recipes that you can make it home! I mean being able to make my all time favorite Starbucks order at home with this Starbucks Caramel Frappuccino Copycat recipe is pretty much the best news ever. And while I’m at it, I can make my children’s favorite Sugar Free Vanilla Bean Frappuccino. I’m also completely mesmerized by the looks of these White Mocha Frappuccino Cupcakes. That's quite an interesting combination of flavors. Thanks for this innovative idea. You bet - hope you'll give it a try! Question: is it actually just 1 ounce of pudding or did the size of box get left off? Really want to try this! Thanks for catching that omission, Betsey! It's one 3.4 ounce box of pudding. Let me know what you think if you give it a try! 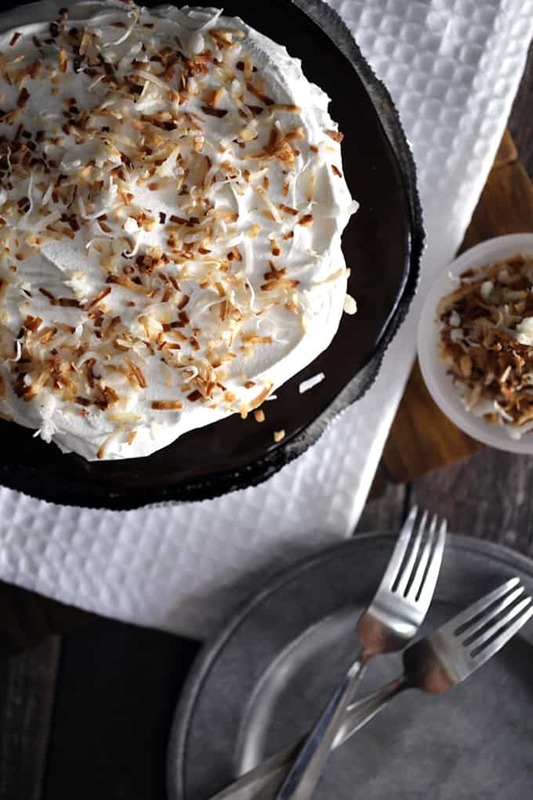 That toasted coconut on the top has me sold even before you cut the first slice, Melanie! Great flavor combination! Thank you so much for your kind words, Stacy! Oh my GOODNESS. Holy cripes. This pie is seriously AMAZING and I'm saving it for forever. 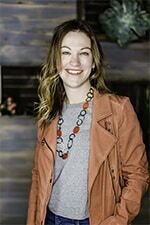 I'm so glad I got to meet you here at your blog, your photography is wonderful and it's such a joy to read your post. Cheers, Melanie! You're so sweet, Ala - thank you so much! Oreo pies are my favourite! This looks so dreamy and delicious. They're my favorite as well, Thalia! This pie looks absolutely delicious, Melanie. I think my husband would really enjoy this recipe. He's an ice cream pie mad man! Yum! I have no doubt he'd love it, Chris! This pie looks seriously good! I loved the s'mores frappe too :( I'll have to give the coconut mocha one a try those if it's anywhere near as good as this pie looks! You're so sweet, Beth - thank you! And let's start a petition to bring the S'mores Frappe back! Wow. This looks incredible! And so easy! I'm a sucker for an Oreo crust. Yum! Definitely an easy pie to create, Lucy! Girl, I think we are foodie soul mates because every time I see one of your recipes, I want it NOW. This is pretty much a dream for both the Mr. and I. We love Oreo and mocha flavored anything. Thanks so much for celebrating with me! This was such a special surprise and I'm just filled with thankfulness today. You all are the best! You're so welcome, Courtney - so thrilled for the two of you to welcome your little guy into the world! Oh goodness, don't leave me in a room alone with this… you may have a disappearing pie on your hands! Looks so yummy! You're so kind, Marly - thank you! Cool. Creamy. Decadent. A beauty, too!! Perfect summer pie; perfect shower dessert! Ermagaaawd, Melanie, I'm dying here. 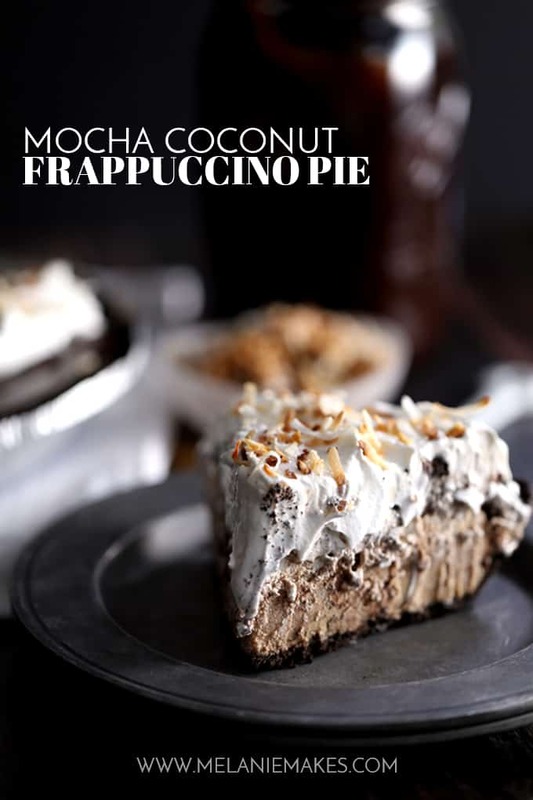 I need a slice of your mocha coconut frappuccino pie...hell, hand me the entire thing! This is everything I want in a dessert - cold refreshing ice cream, caffeine, Oreo cookie crust...drool. And these photos are gorgeous. Thank you for joining the party today! Thank you so much for arranging this great shower for Courtney, Nancy, and for your kind words!